The period of Soviet history between Nikita Khrushchev’s fall from power in 1964, and the arrival of Mikhail Gorbachev as premier in 1985, has often been seen as a period of economic, social and political stagnation in the USSR. For the vast majority of this twenty year time frame, the USSR was governed by one man, Leonid Brezhnev. As such, the Brezhnev era has earned a reputation for being a flat-line in the development of the socialist experiment. However, this view is far from universal. To discuss the nature of Brezhnev’s rule in Russia, and particularly the extent to which it might be considered as period of stagnation, I am joined by John Keep, the emeritus professor of Russian history at the University Toronto. Since retiring in 1988, he has co-written a retrospective on Stalininsm, and has also produced a fantastic overview of the Soviet Period in his “A History of the Soviet Union 1945-1991: The Last of the Empires” which is recommended core reading for the study of the USSR. McCauley, formerly a senior lecturer in Russian and European history at the University of London. Dr McCauley has a long standing interest in the Soviet Union, having conducted research there in the late 1950s. 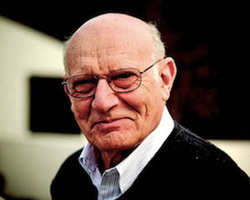 He is the author of a wide range of books on the Soviet Union, including The Khruschev Era, and the excellent, Rise and Fall of the Soviet Union. In this programme I discuss the issues of historical approaches and methods with Dr McCauley and try to find out a bit more about how he came to his conclusions on the Soviet Union. This is a fascinating insight into how pastiches of a country are built up over time. The Soviet Union came to an abrupt end in December 1991, with the resignation of Mikhail Gorbachev from his position as President of the USSR, leaving a multitude of affiliated and independent states in its wake. However, the union had been fragmenting for some time, and there is a good deal of historical debate about how far the end of the Soviet Union was inevitable, and the extent to which Gorbachev might be held accountable for its demise. 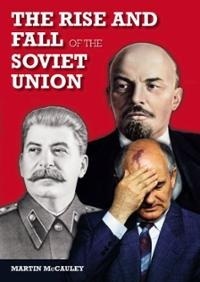 Professor Kenez' "A History of the Soviet Union" is a very interesting and lively read, and can be found on Amazon HERE. He has also written a number of other books on Soviet society including: "The Birth of the Propaganda State", "Hungary: From the Nazis to the Soviets", and "Cinema and Soviet Society". Finally, for those of you studying the Holocaust, Professor Kenez has also written a book tracing the origins of the Holocaust to the enlightenment ideas of the 18th Century. "The Coming of the Holocaust" gives a fantastic insight into the causes of one of the worst atrocities in human history, and can be bought HERE. Don't forget to subscribe to the podcast using the links on the right! Mobile users will need to follow these or click on the image. Better late than never is my motto for this week. I was extremely fortunate to have the opportunity to speak to Professor Taubman, author of the critically acclaimed and definitive biography of Khrushchev: "Khrushchev, the man and his era." Nikita Khrushchev is probably one of the most controversial figures in the history of the Soviet Union. Both a symbol of peaceful coexistence, but also responsible for some of the most tense moments of the Cold War. His reputation at home was no less volatile. In this episode Professor Taubman explains the impact of Khrushchev's personality on his actions as a Soviet leader, covering a diverse range of topics from economic reform to the Cold War. There is some interesting discussion here about the use of the psychological approach in profiling Khrushchev. 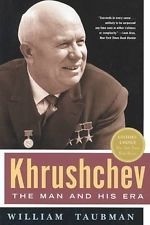 This lends Professor Taubman and interesting angle on many of the issues of the Khrushchev period. Neither inherently western, nor revisionist in outlook, he provides a fascinating insight into a very complex man. Professor Taubman's excellent book can be found via Amazon HERE and we can look forward to his newest work, a biography of Gorbachev, due in a few years. I have also attached a very brief summary of the main points of our discussion for revision purposes. I would be very interested in any comments or feedback on this episode. Remember to subscribe to the whole series using the links on the right. Mobile users will need to click on these or the image. In the first episode of the series, I will be joined by Professor Bill Taubman, author of 'Khrushchev, The Man and his Era.' We will be discussing his historical methods, as well as his views on Khrushchev's motives for reform. We will also have a look at the impact of Khrushchev's personality on his foreign policy and make some links with the current crisis in Ukraine. Don't forget to subscribe to the podcast links on the right, either via PodOMatic or iTunes. You can also follow the AndAllThat feed on Twitter for more updates. As ever, all comments are welcome.